Elmont, NY - December 29, 2013 - Homicide Squad detectives report the arrest of a Laurelton man on December 28, 2013 for an incident that occurred at 3:30 pm in Elmont. According to detectives, while on foot crossing Elmont Road at the intersection of Cerenzia Boulevard, the 61 year old male victim was struck by a northbound 2006 Toyota Highlander that was being driven by Brian Dudley, 41, of 135-37 Francis Lewis Boulevard. The victim, who suffered life threatening injuries, was transported to an area hospital and was pronounced deceased at 4:31 pm by a staff physician. His name is being withheld pending family notification. Upon further investigation at the scene, it was determined that Dudley operated his vehicle while in an intoxicated condition and was placed under arrest without incident. His vehicle was impounded for brake and safety checks. Dudley is charged with Vehicular Manslaughter 2nd Degree, Driving While Intoxicated, Driving While Intoxicated (Blood Alcohol Content over .08%) and two (2) counts of Aggravated Unlicensed Operation 3rd Degree. He will be arraigned in First District Court, Hempstead on 12/29/2013. 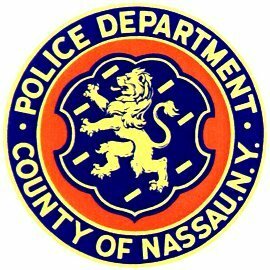 Subject: LongIsland.com - Your Name sent you Article details of "Nassau Man Arrested for DWI Crash"